The day will be entirely devoted to considering whole muscle salumi as well as cooked and cured hams. We will discuss different seasoning and spices used and also the different methods that can be used to cure meat. We will also consider food safety and hygiene providing an overview of dangerous microorganisms and how to prevent them through proper handling and sanitation throughout the production process. 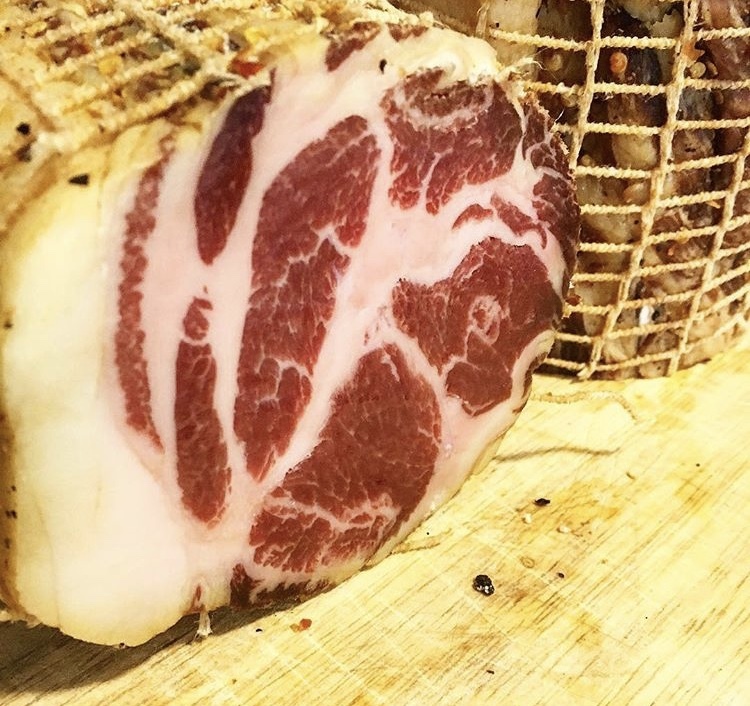 This morning we will explore traditional forms of Salumi Insaccati, including: Salame Milano, Salame Napoli, Salame Genova, Salame Brianza, Salame di Fabriano, Salame di Felino, Salame di Mugnano, Salame Gentile, Finocchia, and Sopprasetta.